Recover deleted notes from iPad! I had an existing note that I was editing yesterday and somehow I hit a key combination that deleted all the text in the Note (quite a lot). I have since found the undo key on the keyboard but this would not restore the text that was deleted. I have tried everything to recover it but no luck. Are Notes synced in iTunes? If so, where do I find them? Any ideas on how to recover my Note? Thanks! There are two ways for you to get back your deleted notes from iPad: recover it by extracting your iTunes backup file, or by scanning your iPad. First of all, you need a deleted iPad file recovery. 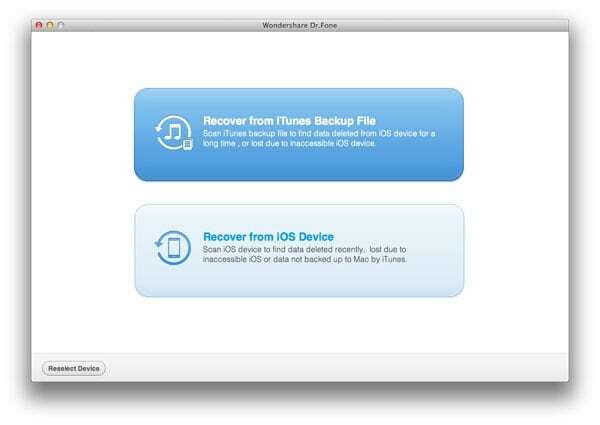 Get such an iPad recovery tool here: Wondershare Dr.Fone for iOS (Mac) (for Mac users) or Wondershare Dr.Fone for iOS (for Windows users). Both of the programs enable you to preview the backup file and recover deleted notes, photos, videos, contacts and calendar, etc, and work well with iPad 1, iPad 2, the new iPad, iPad with Retina display and iPad mini. You can choose to recover all of the data or just recover the one you want selectively. You can also directly scan and recover data from iPad 1 with the help of both programs. 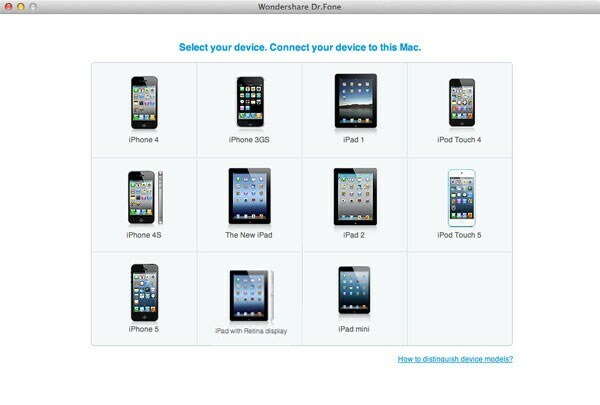 Next, let's try Wondershare Dr.Fone for Mac together to check whether our deleted iPad notes can be retrieved or not. After installing and running the program on your Mac, you'll get the interface below. Select the device icon for yours to move on. Here, you have two options to find your previous data on your iPad: Recover from iTunes Backup File and Recover from iOS Device. Let's take the former as a try. Note: If you choose the former, you don't need to connect your device to your computer. If the latter, you need to. Now all previous contents in the iTunes backup are scanned out and displayed as original. 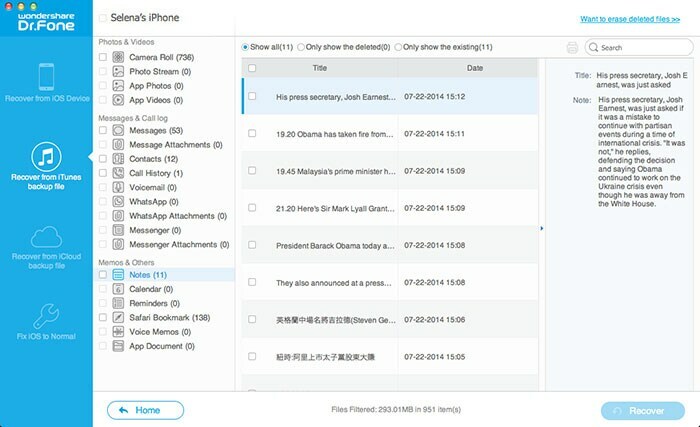 You can preview and check to recover your deleted iPad notes, photos, videos, contacts or calendar, etc. To avoid losing data from your iPad, do remember to back it up on your computer regularly.